The Colorado Rockies are 43-49. They sit 13.5 games out of first place in the National League West. The trade deadline is fast approaching, and they have some talent other teams might want that could help them make World Series push. 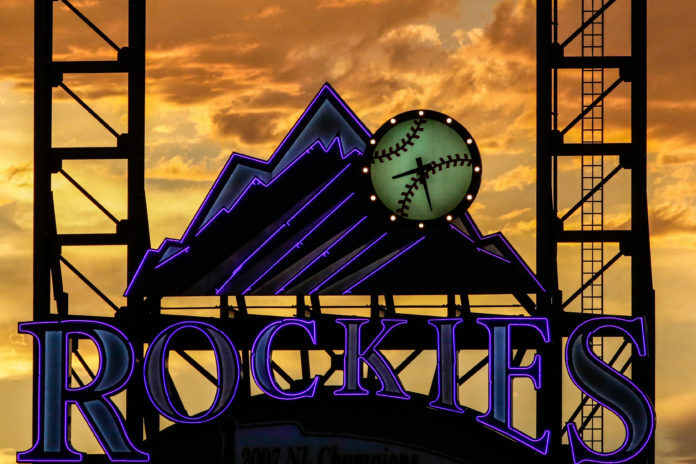 It sounds like the Rockies should be sellers, right? 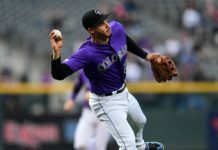 A case could be made to trade a Carlos Gonzalez, a 31-year-old right fielder who has a .318 batting average and 19 homers on the season. They could get some good young guys for him, no doubt. But here’s another idea. Why not go out and get a pitcher or two and try to get into the playoffs in 2016? It can’t be done you say? Why not? The Rockies are only eight games behind the Miami Marlins right now for the second spot in the Wild Card standings. Yes, they would also have to leapfrog the St. Louis Cardinals, Pittsburgh Pirates and New York Mets to get there, but is that so impossible? The Pirates have been up and down all season, the Cardinals bullpen is awful and the Mets have no offense to speak of. All of the above are vulnerable. Let’s really look at the Rockies for a minute. They have a pretty darn good lineup with Gonzalez, D J. Lemahieu, Trevor Story, Nolan Arenado and company, the Rockies rank second in batting average and third in runs scored. So what if they add a good quality arm into the starting rotation and maybe one to the pen? 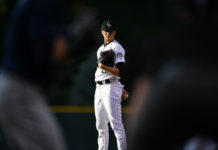 With some good starting pitching available at the trade deadline, such as Jake Odorizzi or Chris Archer of the Tampa Bay Rays, or Sonny Gray or Rich Hill of the Oakland A’s or perhaps even someone like Zach Grienke of the Arizona Diamondbacks, what would their chances look like then? And if it doesn’t work out this season, having more pitching to add to this already good young lineup looks good for next year, right? CarGo is going to be 32 next season, so how long will he still be productive? That’s always the big question. There are not a lot of Big Papi’s out there doing damage late into their thirties anymore since baseball started cracking down on PEDs. Do you dump him now while you can still get something for him? This is why being a GM pays big bucks. There is really no right or wrong answer here. Consider last season at this time, the Rays, Mets, Blue Jays, Royals and Tigers were all near the .500 mark. The Jays, Mets and Royals went for it, added stars and gave up prospects. The Mets and Royals wound up in the World Series, the Jays in the ALCS. The Rays and Tigers did nothing, in fact the Tigers unloaded David Price to the Jays, and they both finished well out of it. The Rays are mired in the bottom of the league now. Should they have gone for it while they had the chance? Perhaps. Let’s not forget that the only pennant winning team in 2007 came out of nowhere to win the National League that season for the Rockies. On this date in 2007, the Rockies were 48-47. That’s not too much better than they are now.